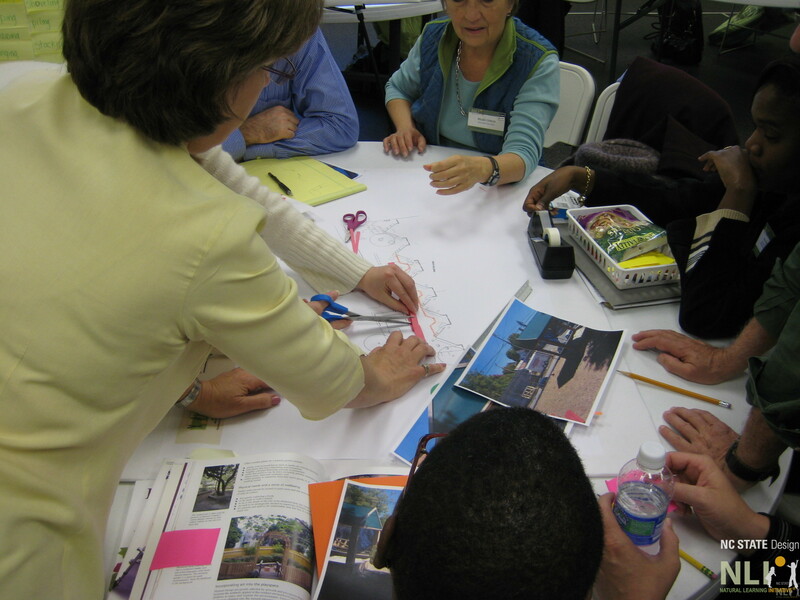 The goal of the project is to facilitate the implementation and use of naturalized outdoor learning environments in North Carolina childcare centers by creating a specialized professional network covering all North Carolina Division of Child Development (DCD) Licensing Consultants and Environmental Rating Assessors (hereafter called consultants and assessors). The project will increase access and understanding of the knowledge base related to naturalized outdoor learning environments so that the professional and regulatory judgements of consultants and assessors are appropriate and consistent with implementing and managing high quality naturalized outdoor environments for young children. Nilda Cosco, Ph.D, Project Director, is Director of Programs and Research Associate Professor in the College of Design, North Carolina State University. North Carolina is currently the 11th. most obese state in the Union. In 2009 North Carolina placed 12th. (Trust for America’s Health, 2010). Of North Carolina children 2-4 years of age, 15.7% were obese in 2008 (CDC, 2009). With more than 40% of children under age five with employed mothers spending at least 35 hours a week in childcare (or more waking hours in childcare than in their own home) (Capizzano and Main, 2005), preventing childhood obesity through interventions in childcare environments is a potential strategy to reach large numbers of children across all income levels. Project Advisory Committee: A special Advisory Committee of DCD consultants and assessors has been created to guide the development of training materials and events, advise NLI on policies and regulations affecting the implementation of outdoor learning environments (OLEs) containing natural elements, and shape recommendations for improving policies related to naturalized OLEs. The Committee is staffed by NLI and meets quarterly. DCD Staff Training: NLI developed and delivered for DCD staff a two-hour session including the benefits of outdoor play for young children, background research, and design considerations for naturalized OLEs. Quarterly Webinars: NLI is preparing and delivering quarterly webinars to transmit the naturalized OLE knowledge base to consultants and assessors. Information Sheets: NLI is creating a series of information sheets on key topics related to the design, development, implementation, and use of outdoor learning environments for young children. Regional Site Visit Workshops: NLI is organizing and delivering regional workshops for consultants and assessors (one in each of three DCD regions), including visits to model naturalized OLEs in existing childcare centers. Site visits include discussions with NLI staff, local Smart Start partnerships, quality assessment staff, and center directors. Outdoor Learning Environment Naturalization Training Module: NLI is producing a comprehensive training module for delivery by NLI and other trainers as part of the Basic Job Skills Training Plan or other ongoing DCD training programs. The module includes the resources provided through the training events and webinars, along with a resource listing of related publications and websites. Symposium: NLI will deliver a one-day intensive symposium on best practices, research, design considerations and use of naturalized outdoor learning environments with expert speakers from the fields of early childhood education, child health, physical fitness, and landscape design. Resource Directory: NLI is producing an annotated list of research findings and major publications and websites on outdoor learning environments, accessible via the NLI website.